A collection of illuminated photography including custom built boxes I call Photo Curiosity Boxes. "Lilly Pond" -- I started with an HDR (High Dynamic Range) print of this arrangement of pond flowers. 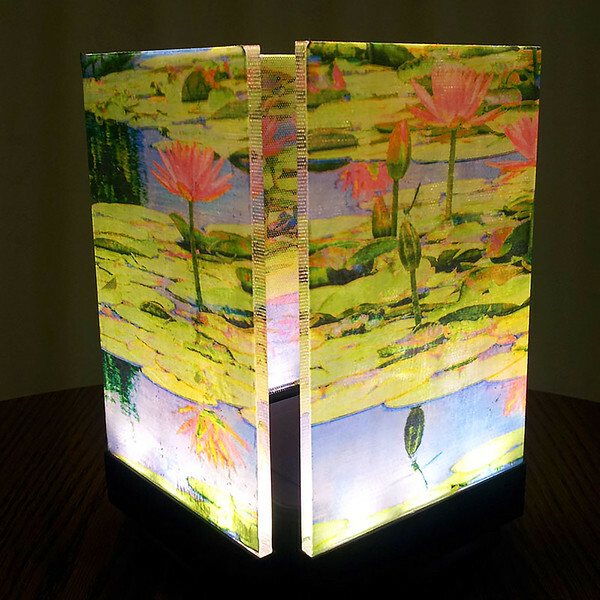 I decided to create a panoramic image and use the gel transfer process to put the image onto illuminated LED panels.